Deliciously soft and moist homemade carrot cake banana bread, perfect for breakfast or a healthy dessert! 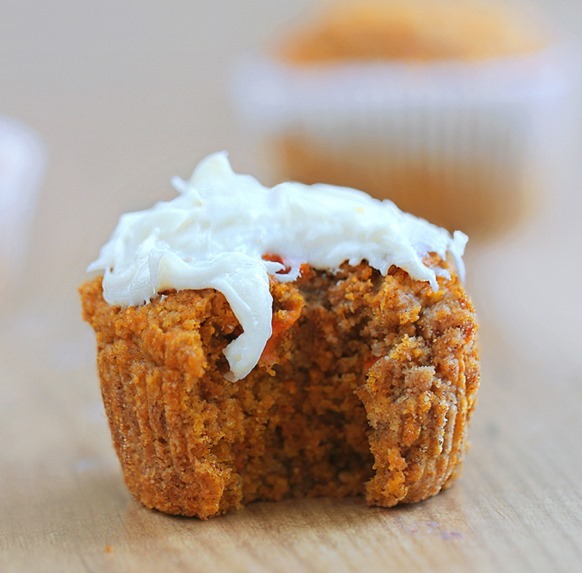 If only carrot cake were always in season. 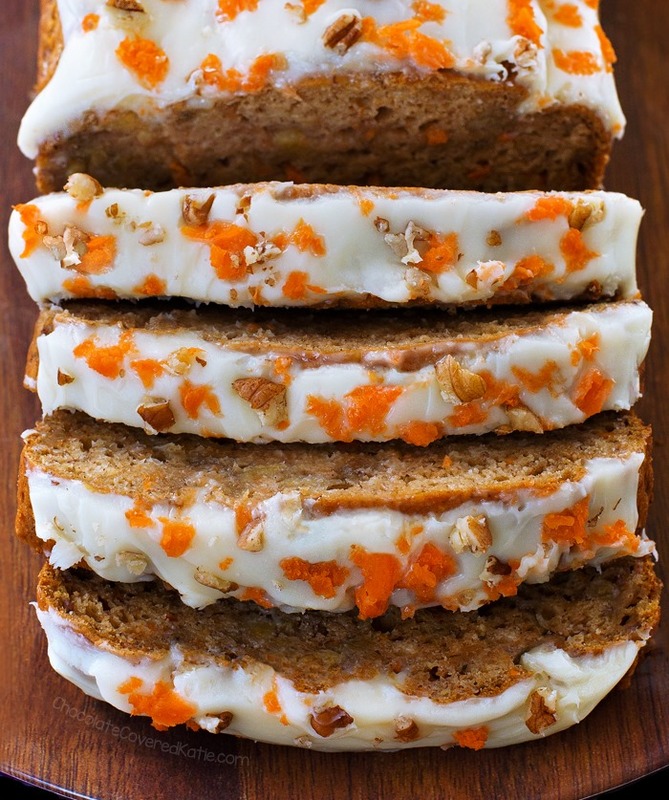 I’d be so happy posting carrot cake-themed recipes all year round. But since possibly no one else besides me wants to eat carrot cake in December, I try to pack as much carrot cake as I can into the few weeks between St. Patrick’s Day and Easter. Because I’ve already posted carrot cake cupcakes, carrot cake oatmeal, and actual carrot cake recipes on the blog, this year I decided to turn the flavor into banana bread, which is one of my other favorite recipes. 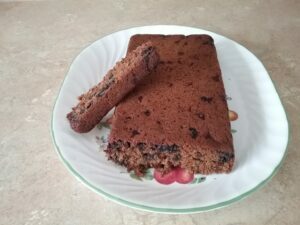 I knew the carrot cake banana bread was going to be good before even trying it; there was no possible way it couldn’t be good – it was carrot cake AND banana bread! For decoration, I sprinkled crushed walnuts and shredded carrot over the top. 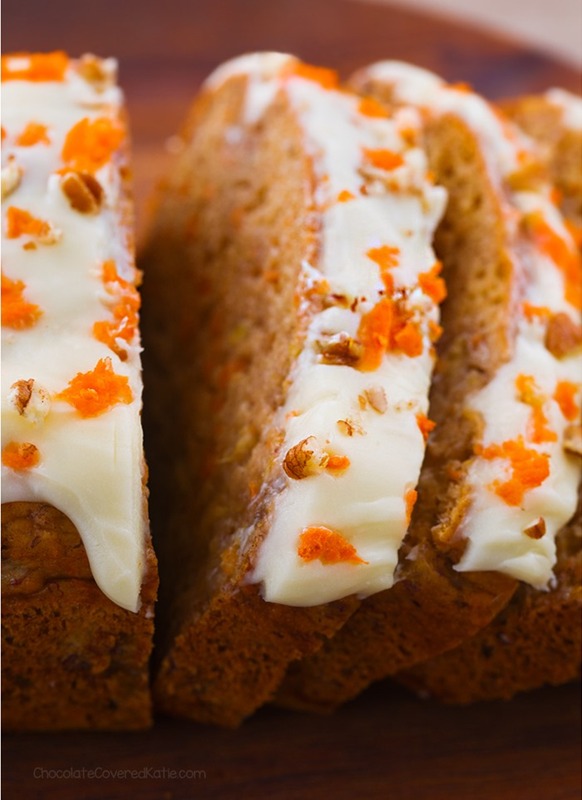 While the carrot bread is completely delicious on its own, if you’re like me and think one of the best things about carrot cake is the frosting, feel free to use any of my Healthy Frosting Recipes – the link includes recipes for both cream cheese frosting and greek yogurt frosting. I also really love frosting this banana bread with about 1/2 cup of softened coconut butter, as shown in the photos. optional, crushed walnuts, coconut, etc. I’m delighted to see another banana bread recipe. This looks so delicious, I cannot express it through mere words. I, for one, love carrot cake and would gladly eat it in December. If I try this next week, I will report back with photos. That bread looks delicious! 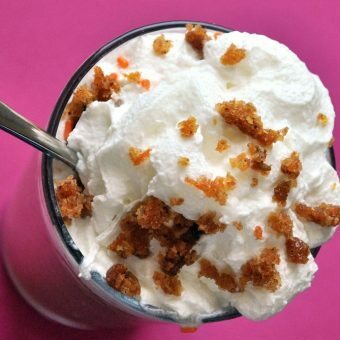 You’re not the only one that wants to eat carrot cake all year round either. I love carrot cake and will happily eat it any time of year. Could you do a recipe for carrot cake pancakes? Since you’ve already done carrot cake cupcakes, oatmeal, and bread, I think pancakes (with cream cheese frosting!) are a logical thing to try next. 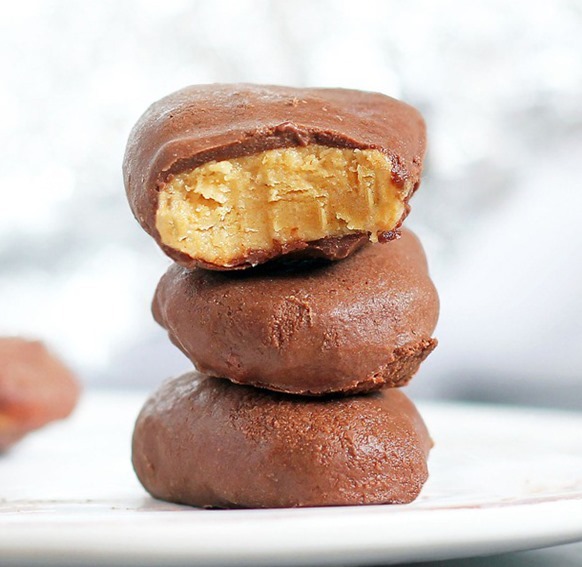 Totally trying this out this week with all the leftover bananas and carrots we have! 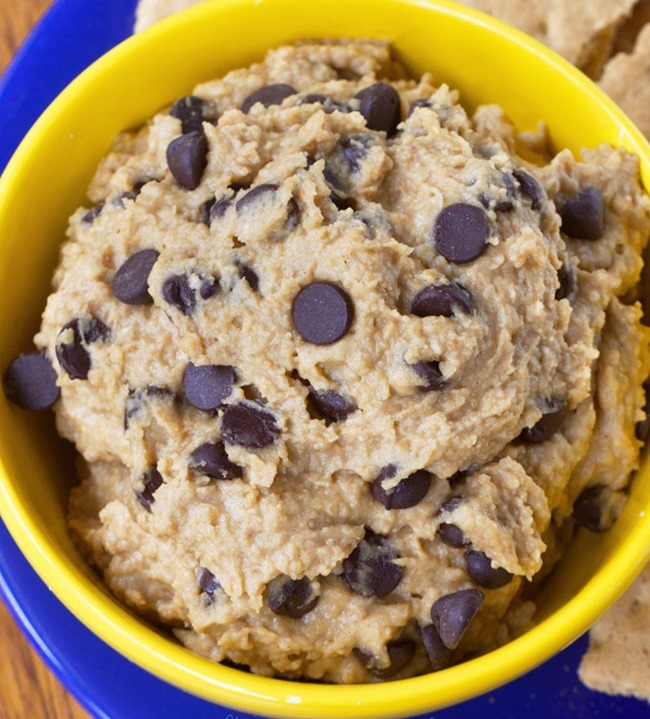 Do you think whole wheat flour would work in this recipe? While Katie can only vouch for the flours she’s tried (the ones listed), you are always free to experiment, and please be sure to report back if you do! Itll workout just fine! Trust me. Love your recipes! Thank you for them. I seem to have trouble with coping them on my computer. It doesn’t print a a picture–which I like to have with the recipe. It also will print some of the recipe at the bottom of the page and therefore, I have print the instructions on the back of the page. Is there a reason for this? Can you help? Just wondering. Hi, are you pressing the “print this recipe” button or just copying/pasting? What a yummy combination! Carrot cake always makes me excited for Spring! I am going to make this tonight. Sounds delicious! This recipe says it is oil free but lists oil as an ingredient, though you say this is optional. Katie, did *you* use oil in your recipe? I’ve had bad luck with your recipes that say I can sub milk for oil. They don’t cook well and never look anything like the picture. If it’s listed as an option for a recipe, it means that either Katie or one of her testers has tested that option. 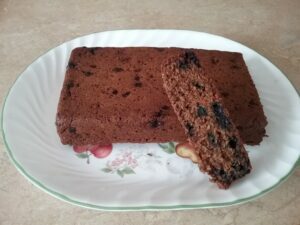 I know many readers and Katie have made her banana bread recipes with milk instead of oil and it still works well, and she talks about this in her Healthy Banana Bread recipe. What recipes did you try that didn’t work? Maybe I can help troubleshoot. I wonder the same. Could Katie answer maybe? I would love to read her reply not someone else’s. Agreed Melissa. I think it’s so rude that they don’t reply back to a recipe they’ve posted. It shouldn’t have to come from another reader. I came here to leave a comment about the recipe but unfortunately found this comment from Connie instead. Yes Connie, it’s so rude that someone who runs a blog where she isn’t charging you anything to see the recipes wouldn’t be able to personally respond to every one of the hundreds of emails, comments, and facebook messages she probably gets every day because she’s too busy living her life. It’s so rude that she doesn’t spend her whole day in front of the computer screen to make sure she answers your comment because of course it’s the most important comment of all. Honestly what I think is much more rude is to be so unappreciative about something you’re getting for free and forget that the bloggers you’re criticising are actual people with lives outside of the internet. Katie, feel free to take my comment down if it’s out of line. I thought about letting it go but just couldn’t not say something. Thank you Jennifer. The world needs more people like you for sure. I cannot believe the nerve of some people. I love CCK recipes, and i am so sorry that people find a way to fault her for stuff like these while her blog is incredibly useful to some of us. HAHA! You are awesome. Amen to people getting something AMAZING for free and still wanting more. It’s nice if the bloggers comment but please remember everyone, THEY HAVE LIVES TOO. I figured out that Jason works for Katie before he mentioned it anywhere. 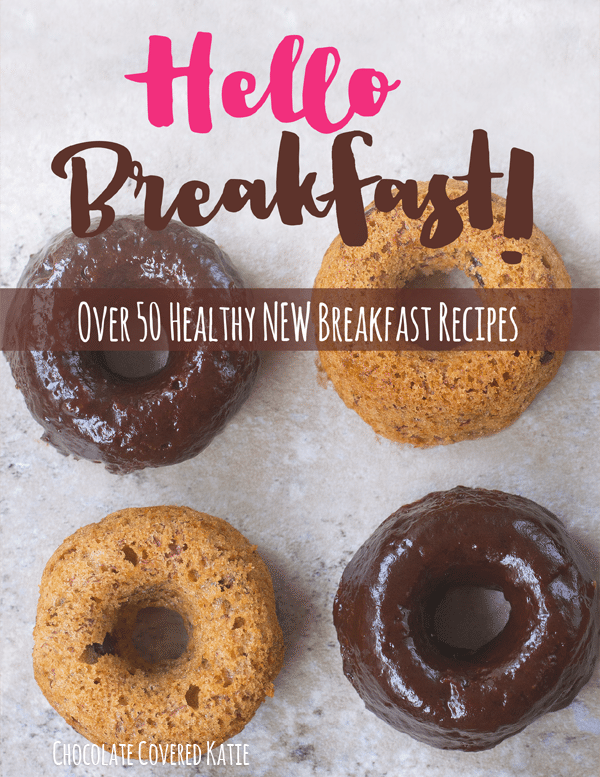 Plus, now that this free website has grown significantly and recipes are so popular, it’s extremely unrealistic to expect Katie to manage all of this website on her own. I’m just seeing these latest two replies, and I apologize for both the drama and the confusion my initial comment may have sparked. I am on the media team for Chocolate Covered Katie and so it is my job to help answer questions, because while it’s true that she gets too many to respond personally to all of them individually, it’s also true that she is grateful to all of her readers and doesn’t want any question they took the time to leave to go unanswered. In Katie’s recipes, as I mentioned in my initial comment, if Katie lists something as an option it means she or one of her testers has tested it to make sure that option will work. If something is not listed in the recipe as being an option, you are still free to try it at your own risk. Hope that helps clear up any confusion! Thanks for your timely replies to the thousands of questions Jason!!! I was going to make the banana/blueberry bread today. I have my bananas and was ready to go until I saw this! I have a bag of carrots I wasn’t sure how to use and this recipe magically appears in my email! I am going to make this AND throw some blueberries in it too. I make my own oat flour with my Braun hand blender. Fun thing to do during a snow storm on the first day of spring. lol. PS: Bean soup in the crock pot too. YUM! I just pray the power doesn’t go out!!! Carol, I wanna come to your house! Except it’s sunny and 60 degrees at mine… But your foods sound delicious and inviting! Lucky you! Yesterday, I was sitting outside in the sun in 60 degree giing myself a pedicure. Now today we are being buried in snow but it won’t be around long. Mother Nature is going through menopause. lol. My bread is delicious by the way. I’m going to post pics via a separate comment. I made the Blueberry Banana bread. It was delicious. VERY moist and yummy! 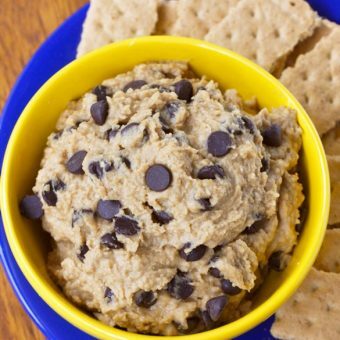 Oatmeal flour is so easy to put regular oatmeal in the blender and blend until powder. Works great. You should also be blending up sugar to make powdered sugar without the chemicals.. All of Katie’s recipes are so tasty ! 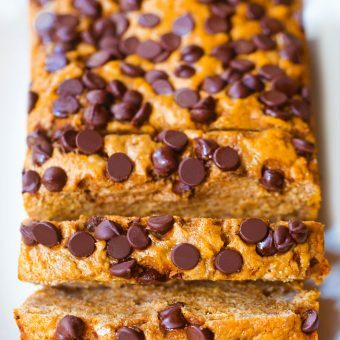 This recipe looks delicious,, what can I use to substitute for cinnamon or vanilla. Do you need to substitute them because of an allergy? Or you don’t like the taste? Leaving them out will not affect the texture, only the taste, so texture-wise it would be fine to omit. I just don’t think Katie can vouch for the flavor because she hasn’t tried it. Yes omitting cinnamon and vanilla because of an allergy.. I’m also going to try using tapioca flour because I’m allergic to wheat and gluten as well, so that eliminates spelt or oat flour. I made her gingerbread banana bread with my own gluten free flour mix. It turned out great. I made my own oat flour and pureed the bananas with my Braun blender. I left out the optional nutmeg. Instead of a sugary sweetener, I used 1/4 cup of NuNaturals Simple Syrup. If your bananas are super ripe, you don’t need much additional sweetener. Instead of the addt’ll milk, I used 1/4 cup of healthy olive oil. And since I loved the banana blueberry bread recipe so much, I added about 1/2 cup of blueberries. I also added 10 minutes to the baking time. I did sample one slice and it was delicious! I have 9 slices left which will be my breakfast for the next 9 days! I love how you added blueberry! Going to have to try that now. Another picture….it’s only letting me post one at a time. I don’t see why carrot cake has to be seasonal. I feel the same way about pumpkin and mint! I love Katie’s recipes! PS I have never had a problem with her recipes using either oil or milk, and when it says milk I always use unsweetened vanilla almond milk. Works like a charm every time! My husband is obsessed with your recipes. I love every one that I have tried. Printing this one out now. Thanks again so much for contributing your awesome-ness! 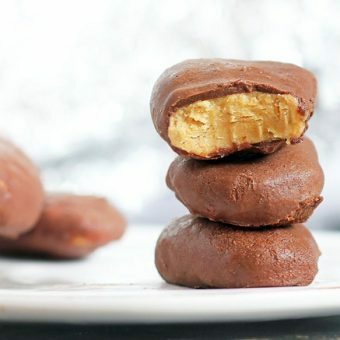 Wow I think I will gift my family with this amazing recipe this week! 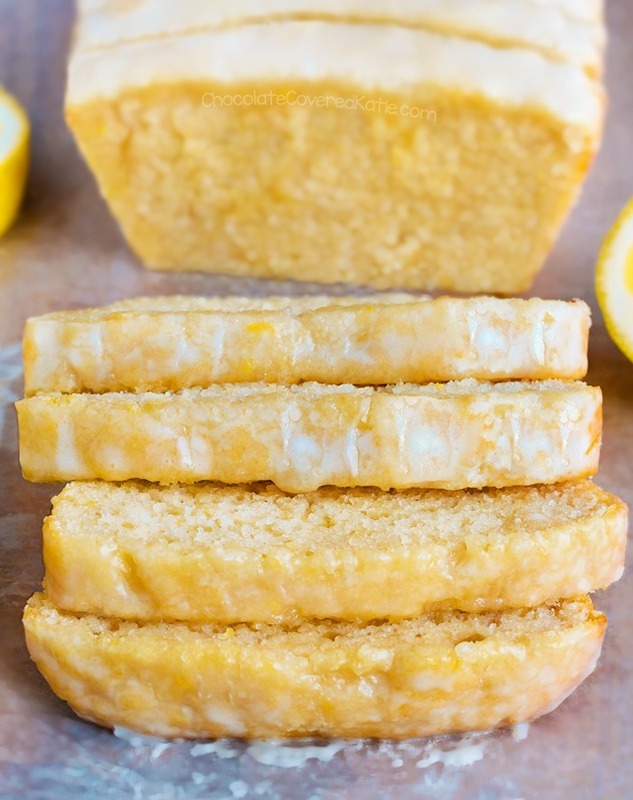 Combining my two favorite breakfast breads is just GENIUS! Pairing carrots with banana is incredible. I love how delicious and fluffy this loaf looks! Never would have guessed that it’s oil free! I just had to laugh because about ten minutes ago I made a list of all the things I want to bake this month, and wrote down both banana bread and carrot cake. Then came here for some inspiration and saw this. Definitely gonna make it soon! Thanks for the recipe Katie! thank you for all of these healthy options! i love carrot cake too, and yes, frosting too, but only eat it rarely because of the calorie count, not the season, so appreciate a slimmed frosting recipe!